It's an honor being selected among the best runners in the state. I'm also proud to be able to raise awareness for the hospital and their causes. It is good knowing I'll be helping those less fortunate than I.
I heard from the two seniors that did it last year from Stratford that it was a great experience and I should be prepared for hills. I hope to get to know more runners from the state and watch some good football. I am incredibly uncoordinated so its something I needed to think about so I started doing my warm ups and cool downs with it, and a few short runs before Foot Locker. 8/10, it was great getting to run fast times and actually run state for once and have a bit of a postseason. Hopefully to run at the collegiate level, but first train hard for track and run some sub 4:35 1600s, sub 10 3200s, and be a strong leg on the 4x800m. Not officially, I have talked to coaches and visited a few colleges but I haven't made a definitive decision yet. I had a friend who ran over the summer before my freshman year and he convinced me to come out. It was a harsh season not running over the summer, but I learned and got to where I am today. I have seen more and more runners break 16 and the top five fluctuate so much, especially this season. 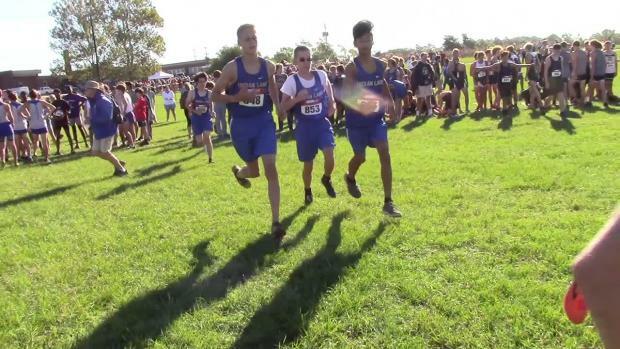 Seeing two sub 15s for the first time in a few years and have one S.C. runner qualify for Foot Locker Nationals and two more almost qualify shows how fast the runners have become and how much the competition and running community have improved in the state. To capitalize on the momentum I had after a good junior track season and train hard and help my team score as few points as possible and get top 10 at state. I would travel all over the world and experience things I otherwise couldn't and see what its like to live away from what we're all accustomed to.